Automation crosses all functions in an industry from installation, integration, and maintenance to design, procurement, and management. 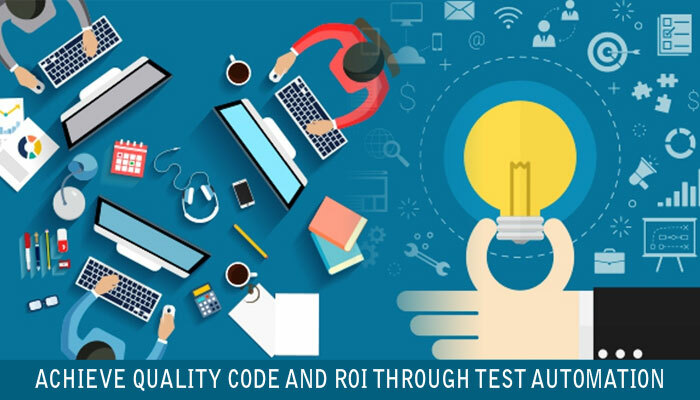 The main goal of Automation testing is to increase the test efficiency and to ensure applications are error-free, cost-efficient, and quickly delivered to develop software value. Automation testing helps in implementing SDLC in lesser time and provides efficiency and effectiveness to the testing software. Like Regression Testing, Automation Testing is also used to test the application from load, performance, and stress point of view. Test automation entails the use of specific software to check the execution of tests and compare the actual outcome alongside the predicted outcomes. The key and compelling aspect of Automation is that it automates recurring, but mandatory tasks by implementing standardized testing processes/tools. Test automation increases the overall software efficiency and ensures robust software quality. Automated testing comes as a relief for validation during various phases of a software project. This improves communication among coders, designers and product owners, and allows potential glitches to be immediately rectified. Automated testing assures higher efficiency of the development team. Owing to the quick implementation of automated testing, plenty of time is saved even for intricate and enormous systems. This allows for the testing to be carried out repeatedly, delivering faster results each time with lesser effort and time. It is no surprise that, while the initial investment may be on the higher side, automated testing saves companies many a penny. This is predominantly due to the sharp drop in the amount of time required to run tests. It contributes to a higher quality of work, thereby decreasing the necessity for fixing glitches after release and reduces project costs. Testing takes up a significant portion of the overall application development lifecycle. This goes to show that even the slightest improvement of the overall efficiency can make an enormous difference to the overall time frame of the project. Although the setup time takes longer initially, automated tests eventually take up a significantly lesser amount of time. They can be run virtually unattended, leaving the results to be monitored towards the end of the process. Through the implementation of automated tests, more number of tests can be executed pertaining to an application. This leads to a higher coverage that in a manual testing approach, would imply a massive team limited heavily to their amount of time. An increased test coverage leads to testing more features and a higher quality of an application. Due to the repetitive nature of test automation test cases, in addition to the relatively easy configuration of their setup, software developers have the opportunity to assess program reaction. Automated test cases are reusable and can hence be utilized through different approaches. The documentation of software defects becomes considerably easier for the testing teams. This helps increase the overall development speed while ensuring correct functionality across areas. The earlier a defect is identified, the more cost-effective it is to fix the glitch. Testers tend to have different testing approaches, and their focus areas could vary due to their exposure and expertise. With the inclusion of automation, there is a guaranteed focus on all areas of testing, thereby assuring best possible quality. Test Automation greatly helps reduce the time-to-market of an application by allowing constant execution of test cases. Once automated, the test library execution is faster and runs longer than manual testing. The effectiveness of testing will be largely dependent on the quality of the test data you use. Manually creating quality test data takes time and as a result testing is often performed on copies of live databases. Automation solutions can help with creating, manipulating and protecting your test database, allowing you to re-use your data time and again. The time and cost savings in this area are potentially huge. This is perhaps a challenge not just in test automation but also in manual testing teams. However, it is more complicated in test automation than in manual testing because it requires more communication and collaboration in the automation team. Indeed, test automation is an investment. Therefore, like any other investments, to get the whole team members to involve in identifying test automation objectives and setting targets, we need to spend significant efforts on communication and provide huge evidence, historical data, and we even do a proof of concept. Many teams do not get past this phase due to several reasons. They may lack the expertise to use a certain tool, the tool they want doesn’t exist, the tool or set of tools do not offer 100% test case coverage, the cost of a tool exceeds the test budget, etc. Some people claim that test automation can be just handled by manual testers or any technical testers because many test tools already support recording test scripts and playing back them so easily and quickly. This is a huge myth. In fact, test automation requires necessary technical skills to accurately design and maintain test automation framework and test scripts, build solutions, and resolve technical issues. Automation tests not simply require a right tool to create scripts but also need a correct testing approach. This is one of the biggest challenges for test automation engineers. Technically, it’s vital for testers to find an appropriate test automation approach. Talking about test automation, most of us agree that automated regression testing is crucial and useful in most Agile contexts. But when turning into the cost, we have many concerns. As a matter of fact, the initial phase of test automation is usually expensive. It’s necessary to analyze, design and build a test automation framework, libraries or reusable functions, etc. In some cases, it is required to take into account licensing costs, facilitating and operating costs such as hardware and software costs. Moreover, even though we can use free open-source tools to reduce the licensing costs, we might spend significant efforts on learning, training and maintaining them. It is a known fact that the initial costs of implementing automation are high. Automation is a strategic decision and an understanding of the potential ROI will help in making the decision to invest in automation. 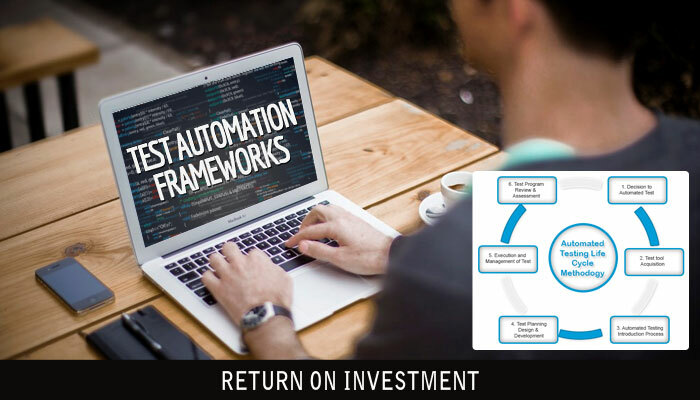 To achieve better ROI from automation, it is thus recommended to calculate your estimated ROI and understand the factors that will influence and enhance your investment and get the best out of automation. Based on the benefits and challenges, test automation should be seen as an overall quality and productivity improvement initiative, rather than merely a cost-saving exercise. However, there is no denying that implementing test automation can significantly and positively impact a company’s ROI. By reducing manual testing and increasing automated testing, a company’s investment can generally be recouped in one year, despite the cost of necessary hardware. The time required to complete the automation phase depends on how far into the project the automation was implemented (the earlier the automation is begun, the shorter the automation phase), project mutability (the more changes in functionality, the longer the automation process), and project size. Once fully implemented, automated testing requires much less time than manual testing, which can significantly shorten the software development cycle. It is always good to understand and analyze the need for automation, analyze the product, and the existing test suite, identify the right test automation tool and then estimate the time frame required to design and automate the entire testing. This exercise would benefit in finding your potential automation ROI before investing in it.